Pope’s Tavern and Museum is located at 203 Hermitage Drive in Florence, Alabama. 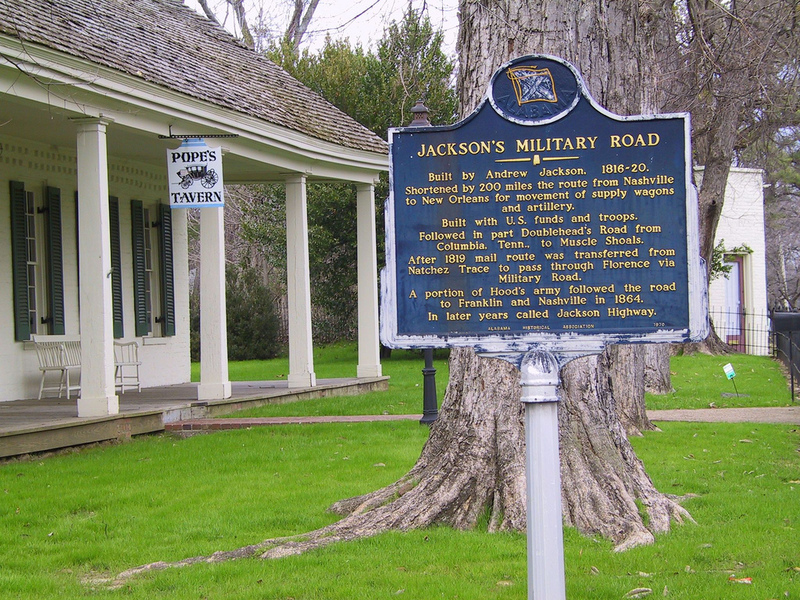 It’s situated on the road that Andrew Jackson himself created in order to move supply wagons and artillery from Nashville, Tennessee to New Orleans, Louisiana. The museum’s collections focus on the history of Florence, especially its founding and the role Florence played in the Civil War. Pope’s Tavern has been preserved as a museum for you. It is filled with local history, antiquities, relics, and stories of ghosts. Dating all the way back to the 1830s-1840s, Pope’s Tavern is one of Florence, Alabama’s oldest buildings having served as a stagecoach stop, a tavern, an inn and a Civil War hospital for both the Union and the Confederacy. Tradition holds that Scottish immigrant Christopher Cheatham built the first structure there as an inn and stagecoach stop sometime in the 1810s. Many soldiers were treated at Pope’s Tavern during the Civil War. It’s believed that 33 soldiers died in the building and many others underwent surgery. There have been many reports of apparitions of amputees in the main bedroom, which was once used as the ward during the time the building was operated as a hospital. Screaming and popping sounds have been heard, and several people have also reported the smell of blood. Drawing up to 2,000 visitors per year, the museum is open Tuesday-Saturday 10 AM-4 PM and is staffed by one curator and two part-time tour guides. There is a small admission fee.